Colour: The Apple Eau de Vie is bright, clear and colourless. Smell: Handpicked ripe fresh apples give it a flowery rich aroma of fruit which will pleasantly surprise you. Taste: The pure, elegant taste comes from the freshness of sweet apples. The result is a sublime taste in which the freshness and a smooth flavour are perfectly balanced. Aftertaste: During its aftertaste Eau de Vie shows its unique character once more. The pure and fruity taste gives it a soft slightly sweet and intense aftertaste, which remains for quite some time. 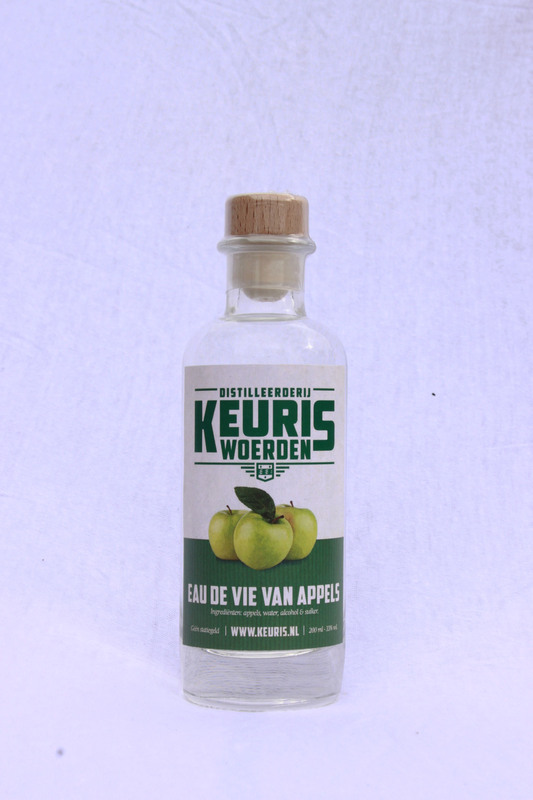 Description: Walvados is Apple Eau de Vie which has been matured on oak cask, during which a bright golden colour and an elegant taste is developed slowly. The combination of fresh fruit and added hints of caramel and oak from maturation make for a fantastic flavour. Colour: Walvados has a beautiful golden glow which makes it easy to distinguish from the colourless Apple Eau de Vie. On oak casks for at least half a year, during which a bright golden colour is developed slowly. Smell: Handpicked ripe fresh apples provide a flowery rich aroma of fruits. Subtle hints of oak and vanilla can be smelled as well, developed during the maturing process on authentic oak. Taste: The elegant flavour is characterized by freshness, coming from sweet apples. Maturation on oak adds subtle hints of caramel and oak, which makes the taste more complex. The final product is well balanced with both flavours of fruits and oak maturation. 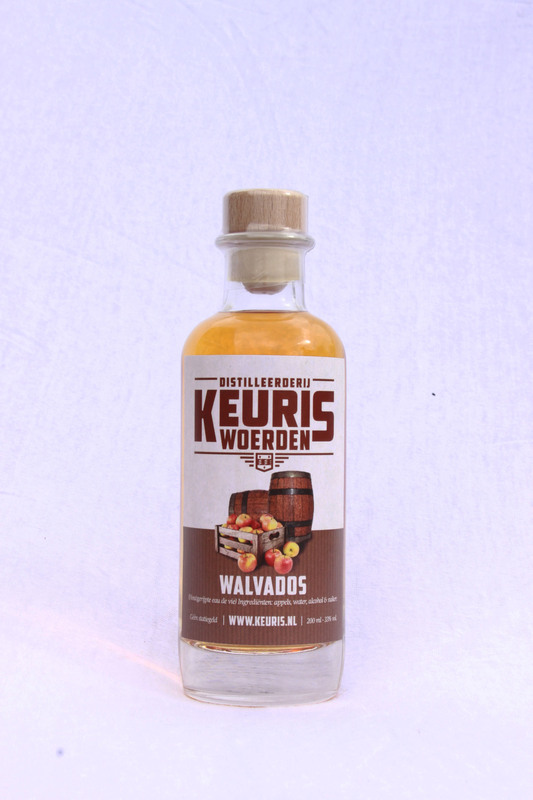 Aftertaste: During its aftertaste the Walvados shows its beautiful complexity. The flavour is slightly fruity with hints tannin, caramel and vanilla. The intensity of the aftertaste gives a warm sensation, which remains for quite some time. We optionally provide gift packaging for each of our products. Please, ask us for the possibilities.